After baking the carrot cake cheesecake with gingerbread crust the other day, I had some leftover orange flavored gingersnaps. 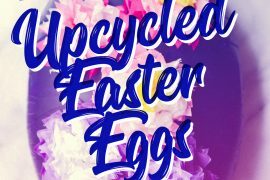 Not wanting the leftovers to go to waste, I played around and came up with this simple recipe that turned out fantastic. 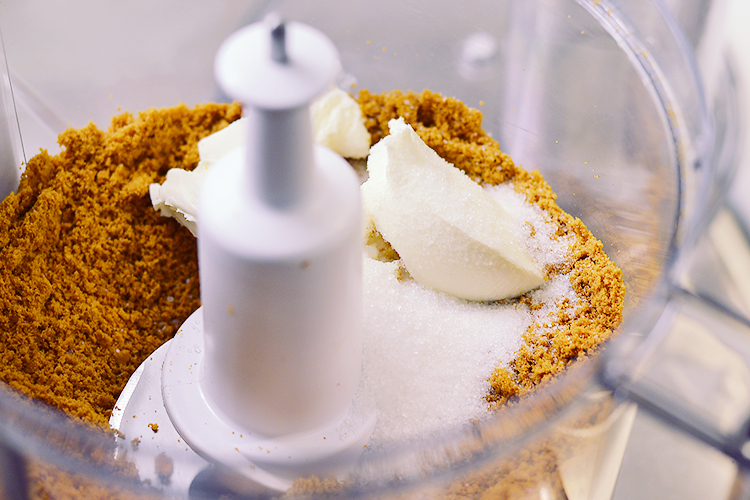 This is so simple – crush your gingersnaps in a food processor until you’ve got little crumbs. 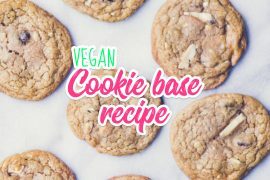 Add two heaping tablespoons of cream cheese, and a tablespoon each of light brown muscovado sugar and granulated sugar. 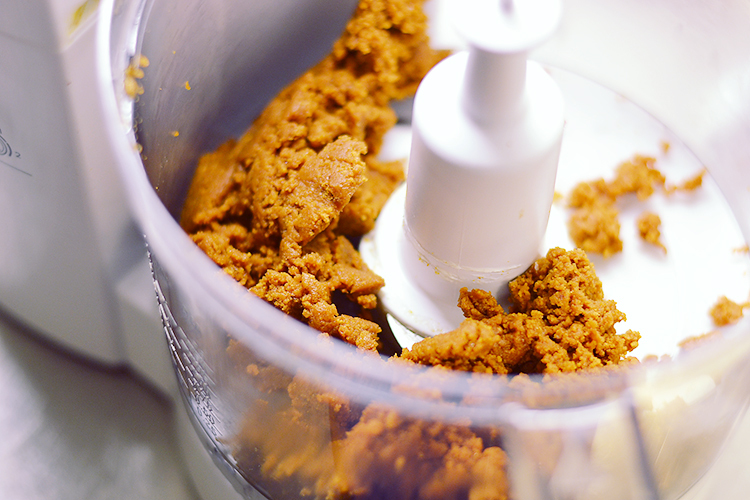 Mix again until everything comes together and starts to form a lump in your food processor. Roll to bite sized balls and freeze for about half an hour. 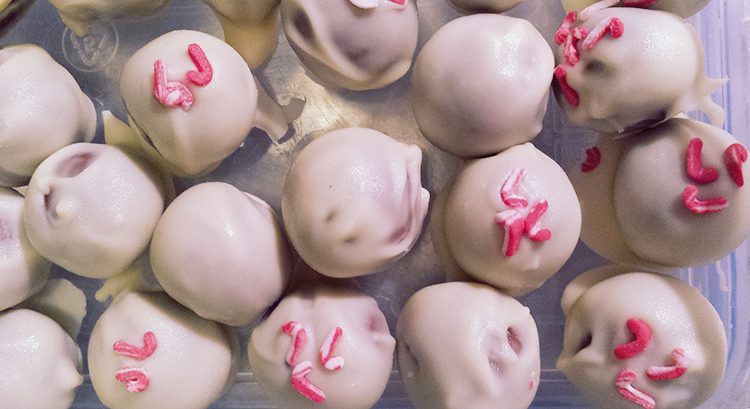 Then melt the white chocolate and roll the gingerbread truffles in the chocolate. Decorate with sprinkles for an extra festive touch. 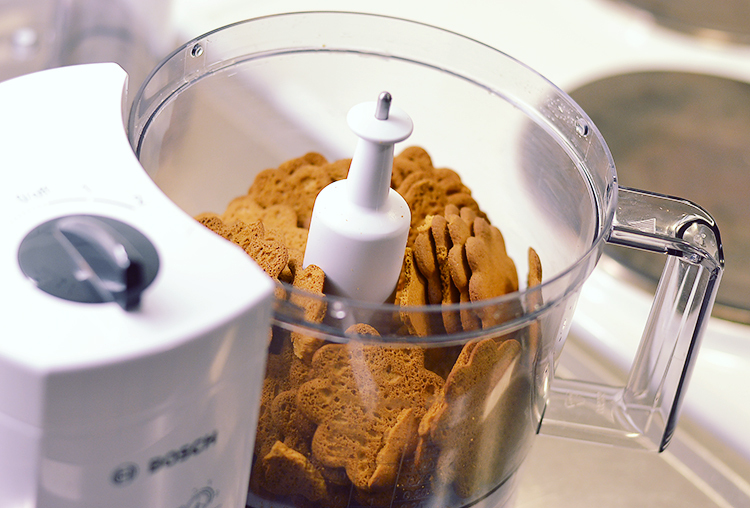 In a food processor, pulse the gingersnaps until you’ve got fine crumbs. Add the cream cheese and sugars to the crumbs and pulse until it comes together and has formed a moist dough. 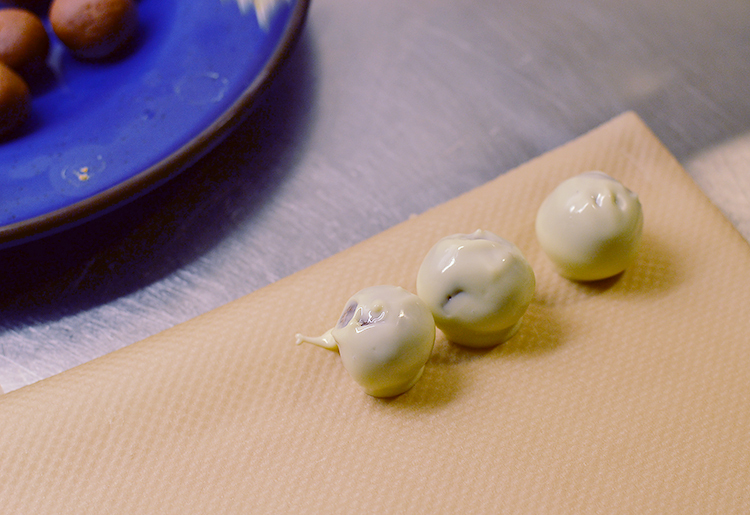 Roll the truffle dough into bite sized balls and set aside in the freezer for 30 minutes. 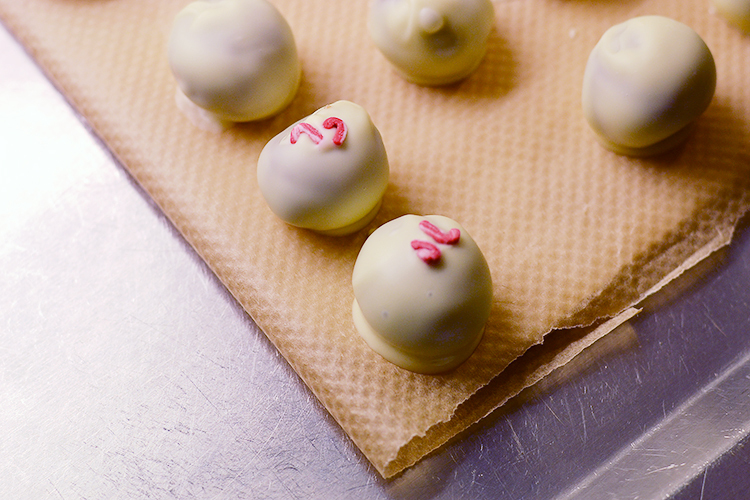 Once chilled, melt the white chocolate and roll each truffle in the white chocolate to coat. Place on a parchment paper lined tray. 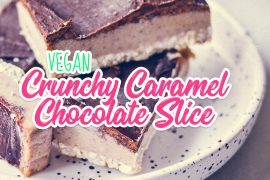 If decorating with sprinkles: sprinkle your decorations on the truffle as soon as you’ve coated it in the chocolate, it firms up quickly. Set the truffles in the fridge for about 30 minutes to cool and firm completely, then transfer to an airtight container or to gift bags. Store in the fridge.